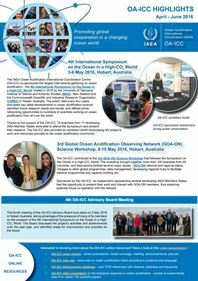 Australia’s Integrated Marine Observing System, in collaboration with the Institute for Marine and Antarctic Studies from the University of Tasmania, has developed a series of marine data and science e-lectures designed to help marine scientists learn how to use IMOS ocean observation data in their research. 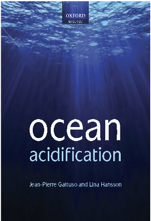 These lectures includes 3 topics Marine Primary Productivity, Marine Carbon Cycle and Ocean Acidification, all of which are relevant in all oceans. The lectures include Power Point (PPT) presentations (narrated and non-narrated with transcripts) and laboratory material in Python and/or R and Matlab with quiz exercises and data files taken from the AODN. While the lectures are looking at these topics at different Australian locations, most of the material generated can be adapted and use for any location around the world. The material has been set up in the UTas Open2U system, which is an open source system that can be accessed anywhere in the world and it is set up mostly for self-learning. To access the material people need to register, if they are teachers they need to register and then let me know (ana.lara@utas.edu.au) so I can grant them access as teachers to access the material in a quick and easy way (compiled as a zip file for teachers). We welcome all feedback so please let us know what do you think about the lectures and if there are any way we can improve this.